Cheap flights to Peru: Lima for €334! 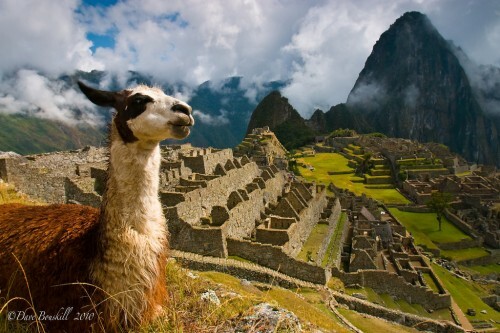 We informed you yesterday about amazing cheap tickets to Brazil with Iberia and you can now book also flights to Peru for good price with the same company. 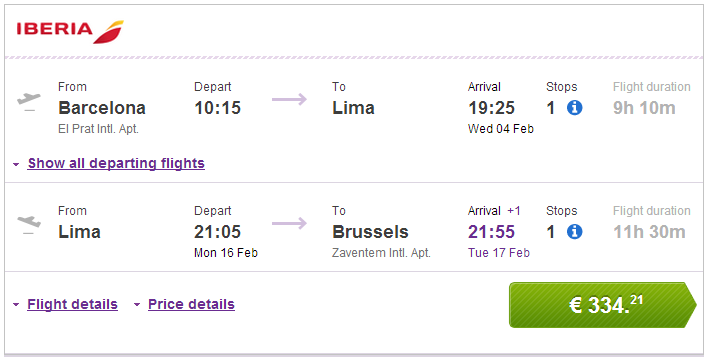 Multicity tickets Barcelona – Lima – Brussels are available for amazing €334! This price includes 23 kg luggage and 1 stopover in Madrid. Travel dates are from January until March 2015 and you can stay up to 3 months before your flight back. « Cheap flights to Sri Lanka: Colombo for €440!